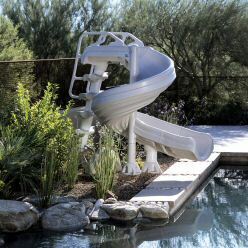 Add Summer Fun with a Swimming Pool Slide from Swim Shack, turn your backyard into a water park. Add more fun to your pool this summer with a water slide. Create your own water park with torrents of water rushing down your slide into your pool. 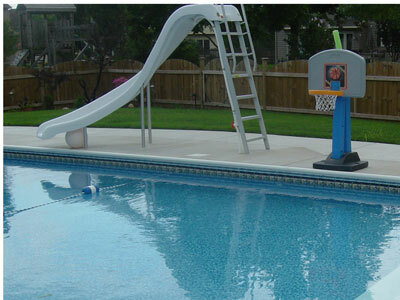 Swim Shack Inc. can provide a variety of shapes and sizes for swimming pool slides. The models shown here are typical of some of the water slides that are available. 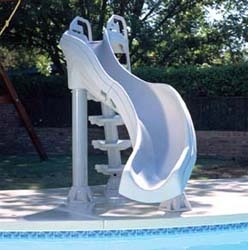 Check to find out which water slide models are available. 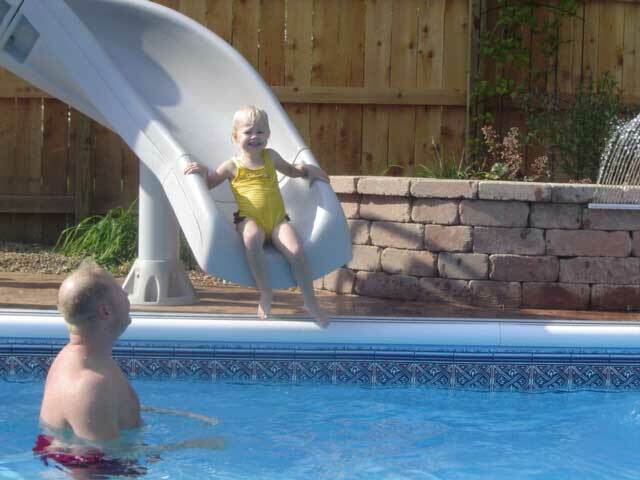 Call Swim Shack at (630) 466-4853 to find out about adding a water slide to your swimming pool. 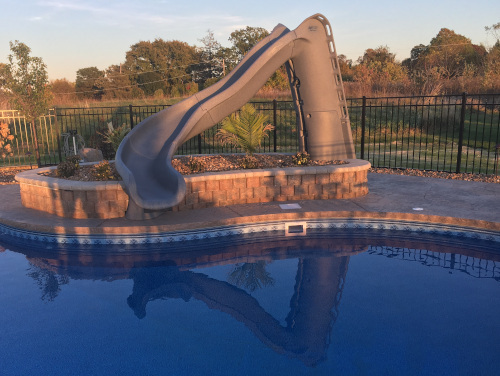 Turning your backyard into your own private water park is easy with a pool slide from Swim Shack. Choose from several models, including those shown here. Call Swim Shack Inc. at (630) 466-4853 . Building and maintaining inground swimming pools in the greater Fox Valley area St. Charles, IL to Yorkville, IL; Plainfield, IL to Plano, IL and beyond, more than 40 years.